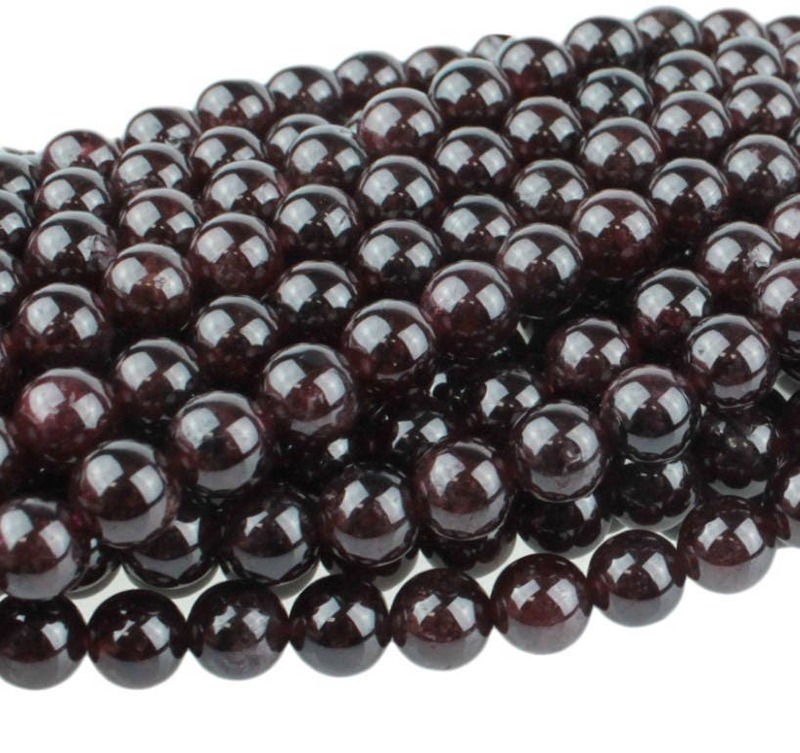 Red Garnet 6mm round beads, approx. 32 beads per 8 inch strand. Garnets are a group of silicate minerals that have been used since the Bronze Age as gemstones and abrasives. All species of garnets possess similar physical properties and crystal forms, but differ in chemical composition. The different species are pyrope, almandine, spessartine, grossular (varieties of which are hessonite or cinnamon-stone and tsavorite), uvarovite and andradite.The term Garnet comes from the 14th Century English word gernet meaning dark red.Garnet is the traditional birthstone of January.